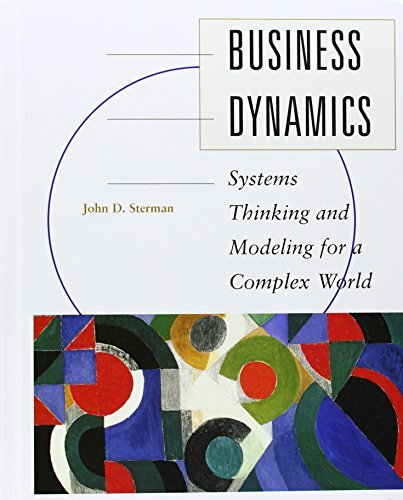 This book introduces you to system dynamics modeling for the analysis of policy and strategy, with a focus on business and public policy applications. System dynamics is a perspective and set of conceptual tools that enable us to understand the structure and dynamics of complex systems. System dynamics is also a rigorous modeling method that enables us to build formal computer simulations of complex systems and use them to design more effective policies and organizations. Together, these tools allow us to create management flight simulators-microworlds where space and time can be compressed and slowed so we can experience the long-term side effects of decisions, speed learning, develop our understanding of complex systems, and design structures and strategies for greater success. Guidelines for working with client teams and successful implementation. Process Points that provide practical advice for the successful application of the tools in real organizations. Case studies of System Dynamics in Action that present successful applications ranging from global warming and the war on drugs to reengineering the supply chain of a major computer firm, marketing strategy in the automobile industry, and process improvement in the petrochemicals industry. Challenges. The challenges, scattered throughout the text, give you practice with the tools and techniques presented in the book and stimulate your original thinking about important real world issues. The challenges range from simple thought experiments to full-scale modeling projects. Simulation software and models. The accompanying CD-ROM includes all the models developed in the text along with state-of-the-art simulation software to run them. There are several excellent software packages designed to support system dynamics modeling. These include ithink, Powersim, and Vensim. The CD includes the models for the text in all three software formats. The disk also includes fully functional versions of the ithink, Powersim, and Vensim software so you can run the models using any of these packages without having to purchase any additional software. Additionally, the Instructor's Manual includes suggested solutions for the challenges, additional assignments, suggested course sequences and syllabi, and other materials.